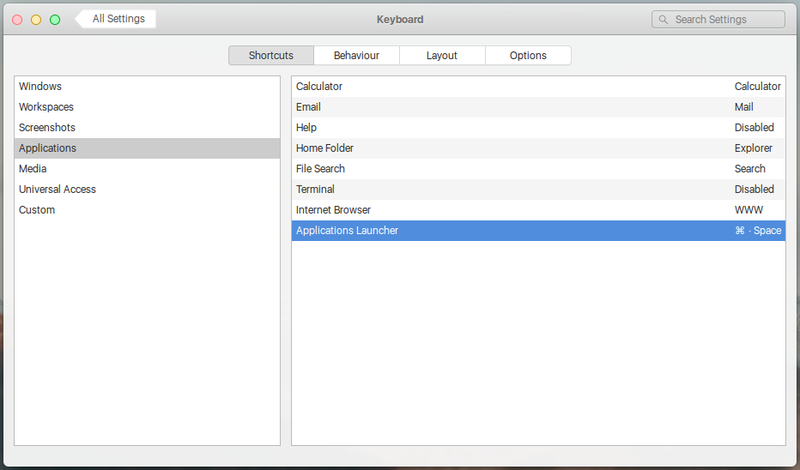 I have set up a keyboard shortcut using the helpful answers at Have application menu open up with only Windows key which opens my Applications dock when I use Windows key. However, this is now interfering with other shortcuts. Is there a way to remove this keyboard shortcut? I don't remember which method I used, it was one of the answers in question above, is there a way to check which method I used? Go to System Settings > Keyboard. Then select Applications from the left menu. From the list on the right, change the shortcut of the Applications Launcher by clicking on it and pressing Super key and Space(the default shortcut). You need to re-login for the shortcut to take effect.